We are pleased to welcome a new partner, Stanley Jonas. Need help from a consultant or want to analyze your performance in Africa? Stanley is your privileged liaison! The African Continent is a key factor in the management consulting market with specific needs. We are proud to announce today our first collaboration in Africa, with Stanley Jonas! He will provide and procure consultancy services for existing and potential clients within the African region on behalf of Consulting Quest. Stanley is a high potential & multifaceted target-driven individual with an established track record of over 12 years in delivering optimal result and business value in the Oil and Gas Sector. As a JV Partner (Nigeria) with United Energy Intel Corporation USA, and Consulting Partner with Winston Oil & Gas Ltd, Subsidiary of Winston Investment LLC, he has built an appreciable network of business trading partners in crude oil derivatives in West Africa and around Europe and America, ensuring that individuals, companies and organizations get quality petroleum products with prompt service delivery at very competitive prices without compromise to industry standard. He implemented process improvement ideas that strengthened operations, resulting in achieving set goals and targets. Stanly has also performed market research and undertook financial feasibility studies to access scope for business development in new markets that saved the company’s downtime and increased profits by almost 60%. Stanley is preparing a MBA, in Leading Innovation and Change (Robert Kennedy University), and holding a diploma in Chemical Engineering . 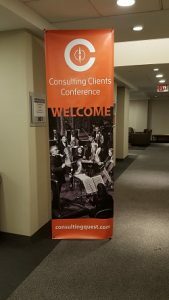 “I joined Consulting Quest because of its strong, disruptive, and innovative leadership team with a global approach to seamless consultancy services through local content participation.” If you have an interest in speaking about potential opportunities, you may to contact him at Stanley.Jonas@consultingquest.com.